Part of our goal at Acappella Ministries is to take the gospel into the world through unique a cappella music. Voces is a part of that attempt. Statistics show that the Hispanic culture is growing at an amazing rate. They are a rich culture with a deep history. It is fitting to release an album, possibly even a series, dedicated to the Hispanic culture. 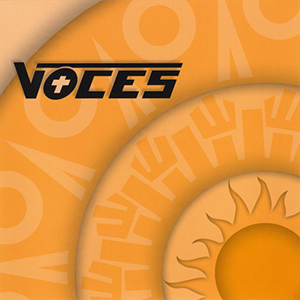 Voces is comprised of the Gonzales brothers, Carlos, Nathan, and Ike. Based out of El Paso, Texas, these young men have grown up together, singing all the way. There’s nothing quite like familial harmony and these guys will show you what we mean.